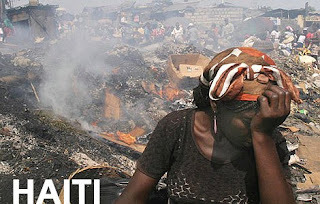 As you are aware, there is terrible suffering in Haiti. It a good time to count your blessings and know that your family is safe and sound. I hope you can join us on Friday, January 22nd to help raise some money for the Haiti Relief Fund. For every sandwich we sell at Jimmy John's on West Jefferson Blvd, in Fort Wayne, on Friday - we are going to donate $1.00 to the American Red Cross. Please help us spread the word and encourage your friends and co-workers to have a sandwich for Haiti on Friday. Please post this on your Facebook and Twitter accounts so we can hopefully get a big turn out for this event. This is valid on dine-in, take-out and delivery orders. Any questions, please leave a comment below.